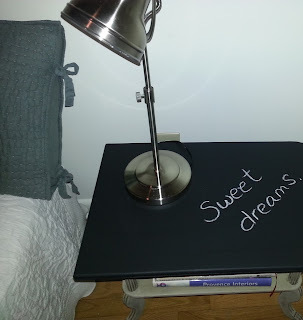 It is the last night of my week-long fall break, and I'm planning and grading, of course. Oh, I planned to grade assignments and develop and revise lesson plans all during the break. I really did. I envisioned a relaxed week inventing creative teaching strategies that would fully engage my students and change their lives forever, but . . . I went crazy with chalkboard paint and creative house projects instead, and loved every minute of it. 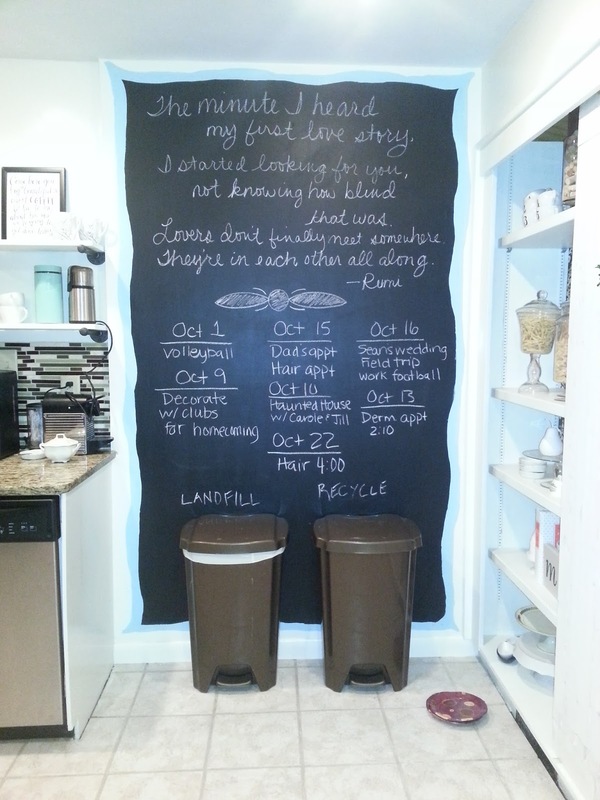 My soul needed the break from school work, and my house needed my TLC. 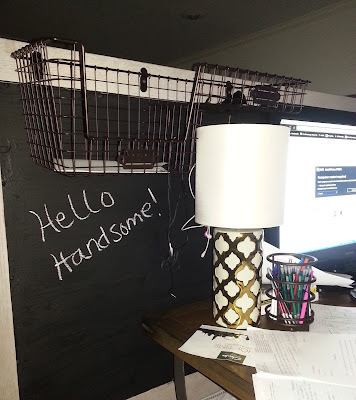 My husband has a small home office behind the bed, so I painted the back of the headboard and added a little wire basket to keep him organized. 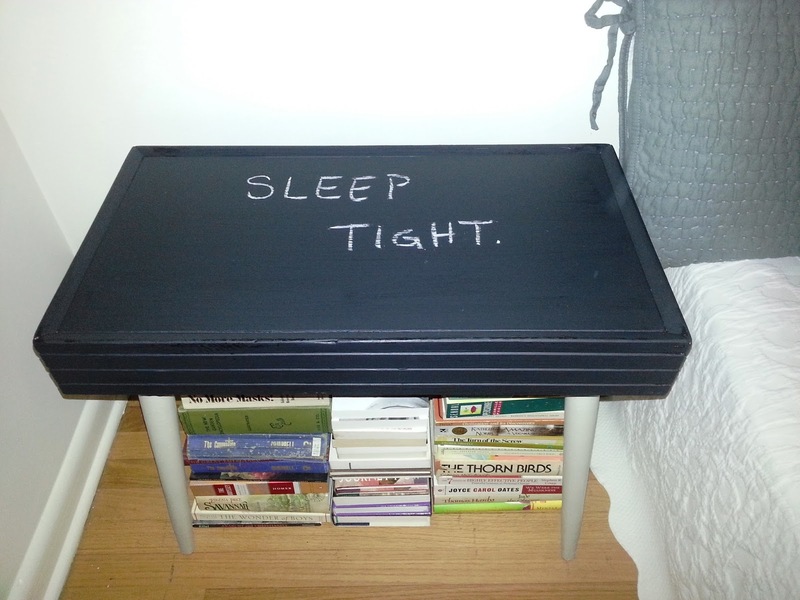 Next, I painted the tops of two tables I found at a thrift store to use as nightstands in my guest room. 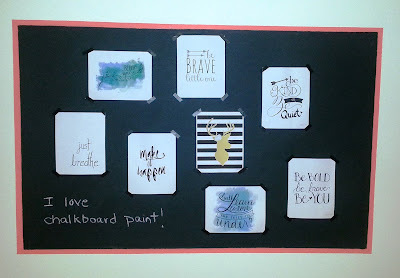 Last, I painted a chalkboard on the guest room wall and added printed quotes some of which I found at http://bydawnnicole.com/category/free-printables using washi tape. 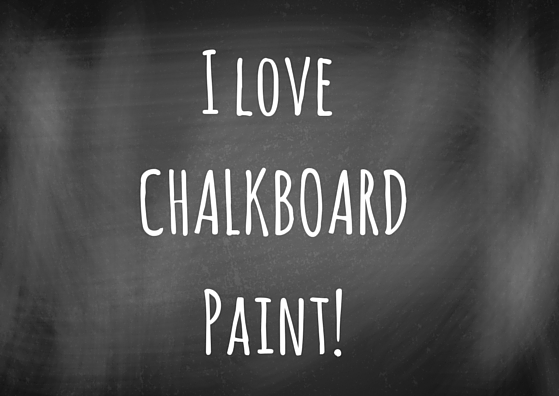 My dogs or husband better not be still for too long, or they will be covered in chalkboard paint.